Costa Rica’s Turrialba volcano has been spewing ash into the sky after its most powerful eruption in almost two decades. Residents living in the foothills have fled their homes. Plumes of ash and gas have reached the capital San Jose, forcing authorities to close the main airport. More than 100 flights have been cancelled in all, leaving passengers stranded. “We were supposed to catch a 2.35 p.m. flight to Charlotte and then transfer, one of us is going to New York, Chicago and Pittsburgh and the flight was cancelled until Monday,” said one passenger. 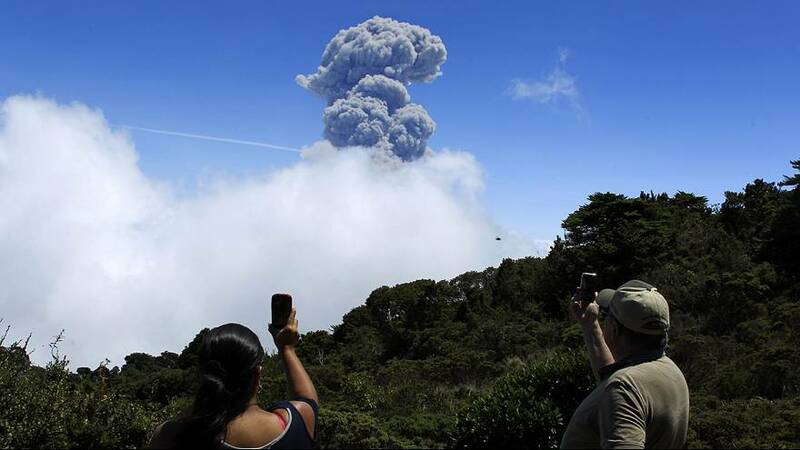 The Turrialba volcano erupted three times on Thursday and another similar eruption was recorded on Friday morning. People living in areas near the volcano are being warned to stay on alert.